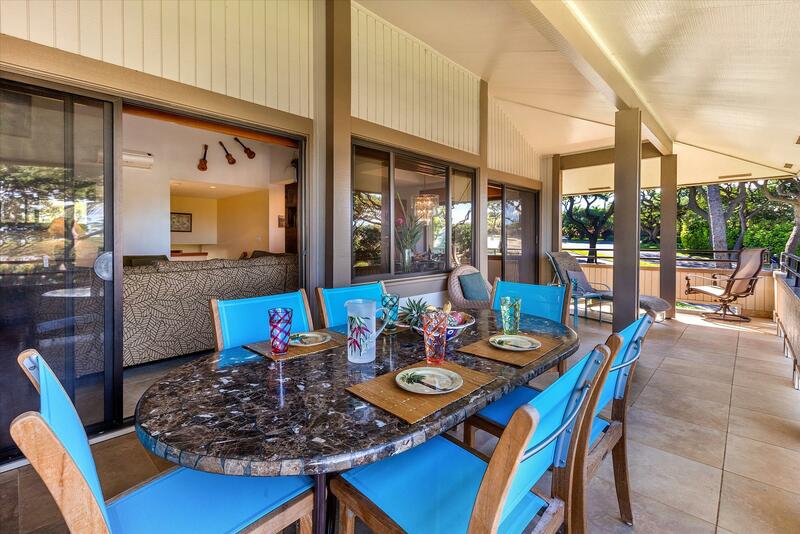 Spend your vacation in this villa like Polynesian style vacation rental located at the beautiful Palms at Wailea Resort on the Maui's prestigious southern coast. 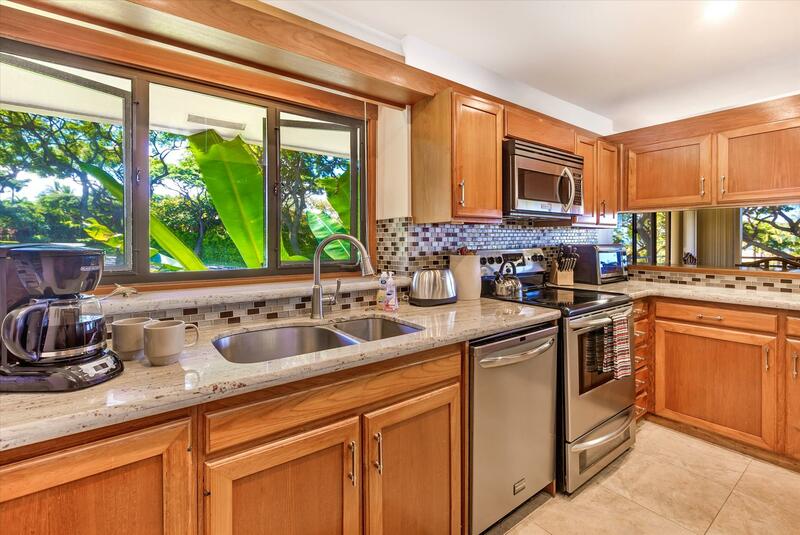 The central air conditioned 1,515 Sq Ft spacious two bedroom, two and a half bath unit is the dream Hawaii vacation rental home for your family. 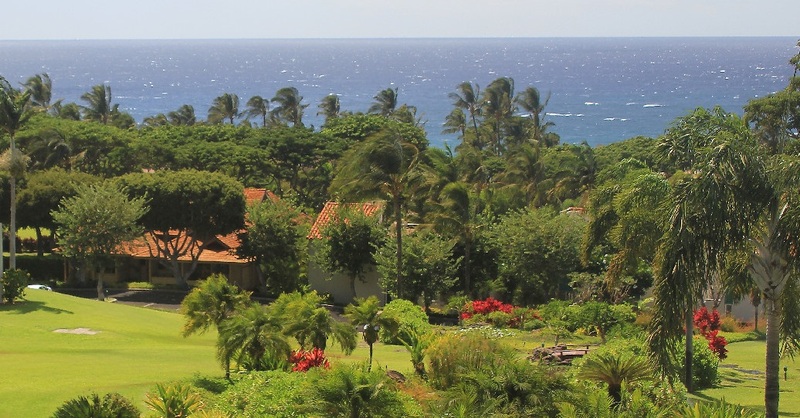 Walk through the lush gardens by the tranquil waterfall to take a break from the beach and enjoy the whale shaped pool surrounded by palms and spectacular views of the ocean, Molokini, and Kahoolawe Island. 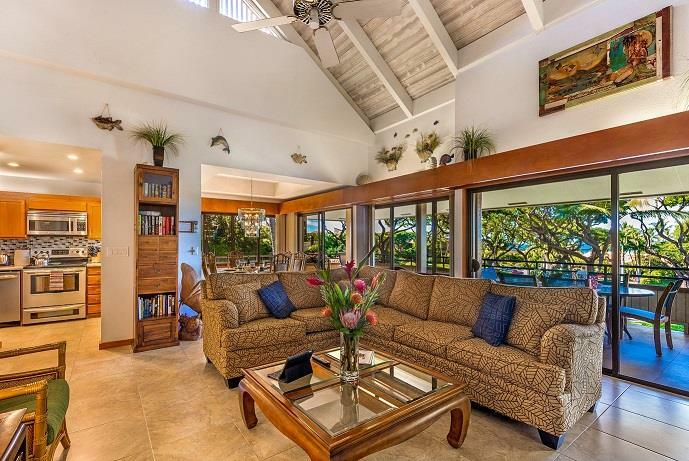 This Hawaii vacation rental is truly unique. 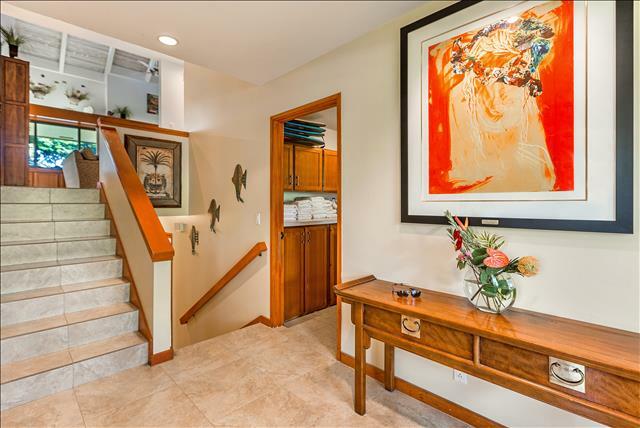 This home is exactly as shown in the pictures. It was so close to all of the amenities listed and a walk to the beach or short 3 minute drive if you bring all of the bells and whistles. We were 2 coup...read more. 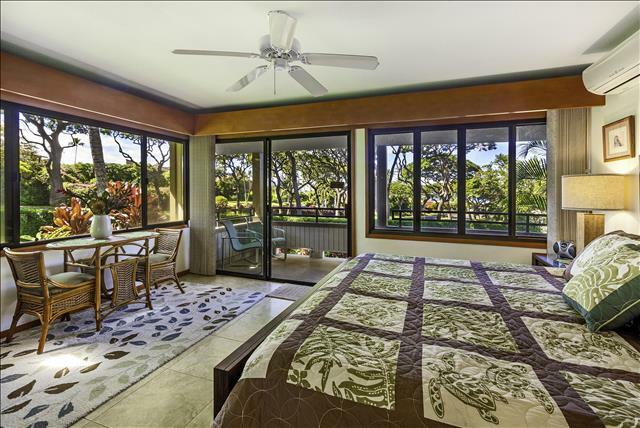 Really nice condo. Great for two couples or a family. 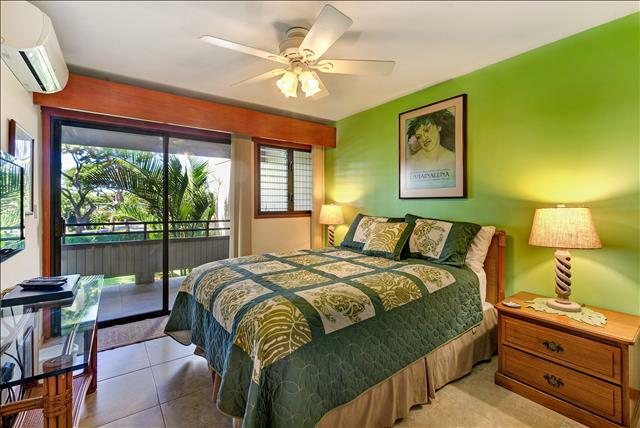 Lots of amenities provided, beach towels, boogie boards, snorkeling, beach chairs, etc. Lovely view, great location, close to beach, restaurants a...read more. Very clean home. Great view, no bugs or any creatures inside the home. 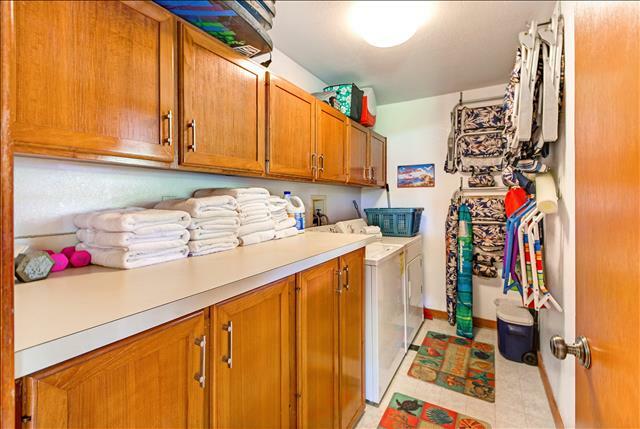 Loved how they had all the beach gear and enough beach towels. 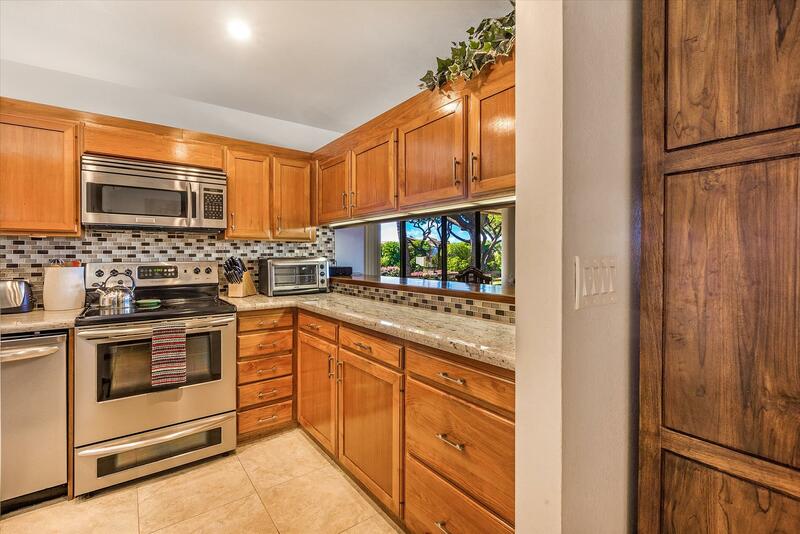 Perfect kitchen appliances, very easy access to the beach and enou...read more. Wonderful home!!! It is the perfect location, beautiful views and quiet. The home is stocked with everything you need including everything you need for a day at the beach. We will be back. This was such a great place to stay. There were 4 adults in our party and there was plenty of room for everyone. They have thought of everything you need for a day by the pool, or at the beach, it was...read more. 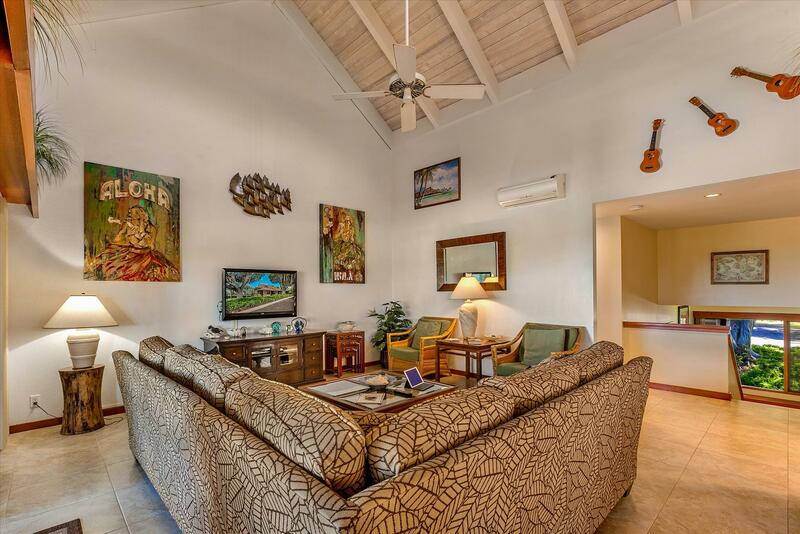 We just returned from a wonderful stay in this gorgeous and extremely well equipped home. 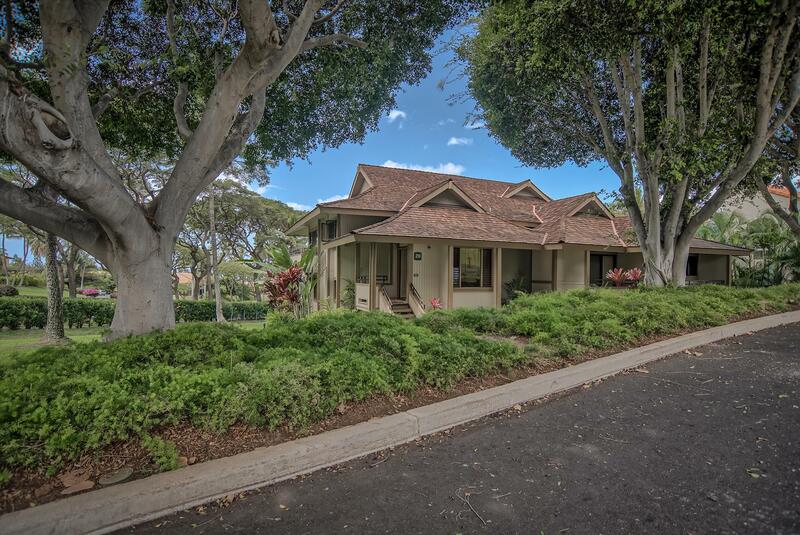 The location is prime, near our favorite beach (Polo) and a short stroll to Keawakapu beach. The shops at Wail...read more. 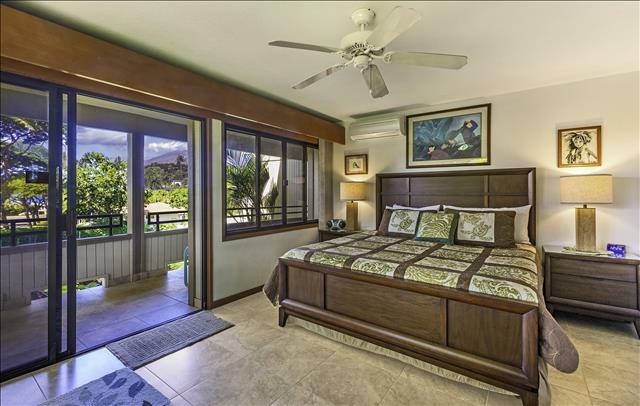 We had 4 adults and 2 young children and were able to be quite comfortable during or 10 day stay here in Wailea; cooked and enjoyed most of our meals, walked to the shops at wailea and the community p...read more. Awesome home! Fully equipped, clean, well decorated.. felt like home! Great location, great view from the balcony. 10 min walk to beach. 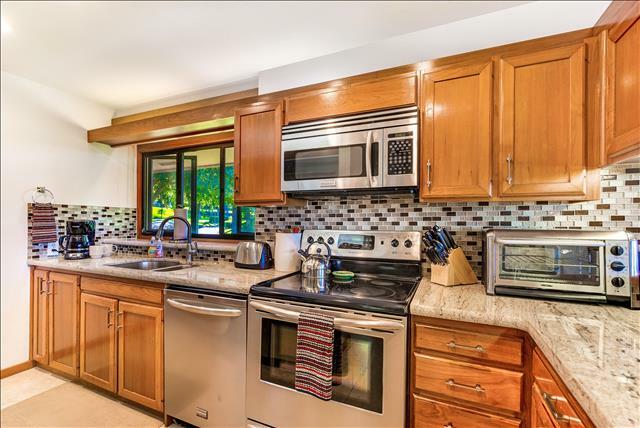 Outside unit provides quiet unobstructed vistas.. would rent ag...read more. Enjoy the Maui sunsets and peek ocean views with your dinner on the large upper lanai or enjoy your favorite book with the tropical breezes at this Maui condo. 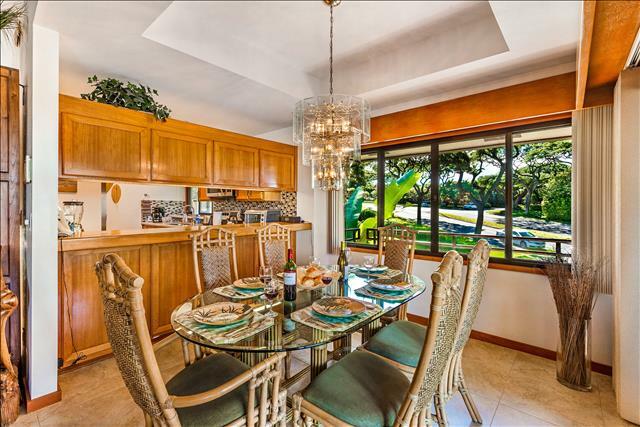 Vaulted ceilings, rich mahogany cabinets and tropical décor complement the atmosphere surrounding you on The Palms at Wailea grounds and beautiful Wailea Maui Resort area. Your family of six will have room to spread out and relax with the DVD players in the living room and each bedroom. This Maui condo has plenty of space for the boogie boards, beach chairs, and snorkeling gear in the large laundry and utility room just off the entrance hall to make your Maui vacation free of clutter in the living areas. BBQ on the grill or enjoy preparing a dinner in a fully equipped kitchen with all recently upgraded appliances. Bring your own or enjoy the variety of DVD's and Hawaiian The Perfect Maui Vacation Rental Near the Beach, Restaurants, Golf, & Tennis at the beautiful Palms at Wailea Resort music videos. Our home is fully equipped with bed linens, bath towels, beach towels, and beach gear. We inspect the home before your arrival to insure it is ready for your enjoyment. A $175 Cleaning Fee is charge to clean the home at your departure. 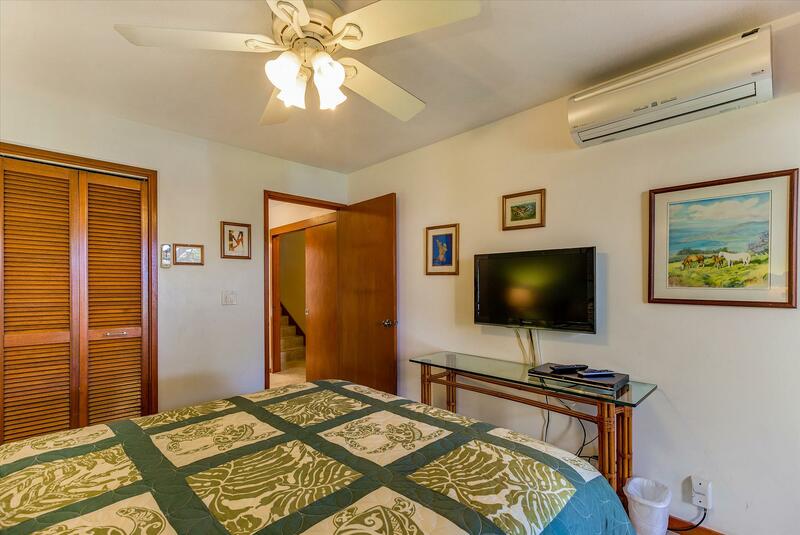 For guests staying for more than a week, a second cleaning can be schedule during your stay for $125. * All Maui condo rates subject to 14.41% Hawaii RentalTax. * 20% advance payment required with reservation. * Full prepayment is due 45 days prior to arrival. * Minimum 4 night stay required. * All rates and taxes are subject to change. 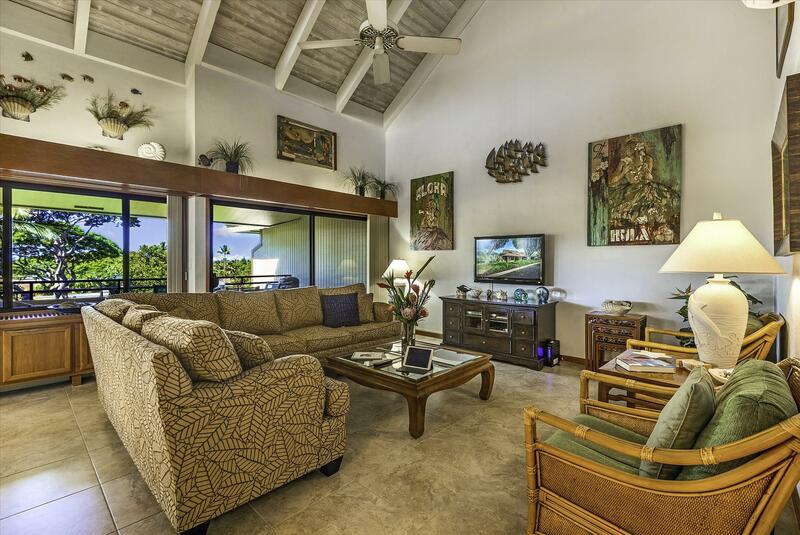 * Check in time is 3:00 p.m.
* Check out time is 11:00 a.m.
A $500 damage deposit is required 30 days prior to arrival. * A 10% fee for all cancelled reservations will be assessed. 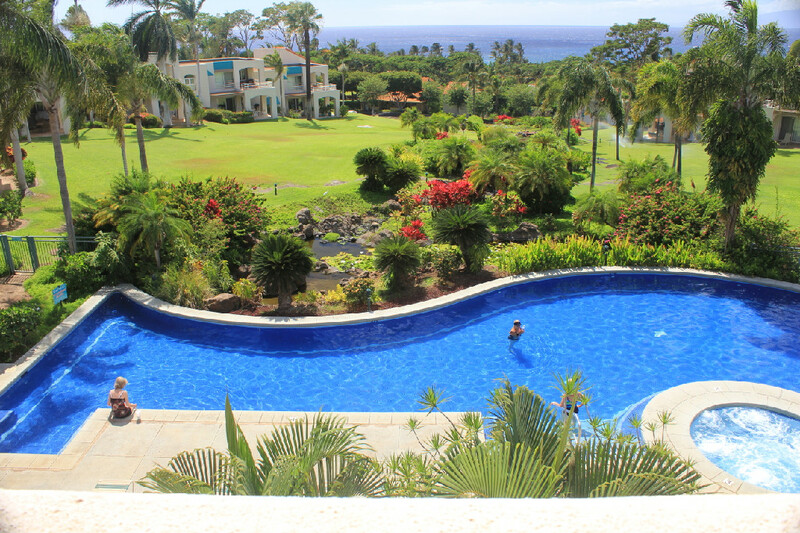 * Cancellations 60 days prior to arrival will be refunded less the cancellation fee. * Cancellations within 30 days or after arrival date: Payments will be retained. If the space can be rented, a pro-rata refund will be issued. The Perfect Maui Vacation Rental Near the Beach, Restaurants, Golf, & Tennis at the beautiful Palms at Wailea Resort. The Palms at Wailea is a resort condominium community located on 16.7 acres at 3200 Wailea Alanui Drive, Wailea, Hawaii, 96753. 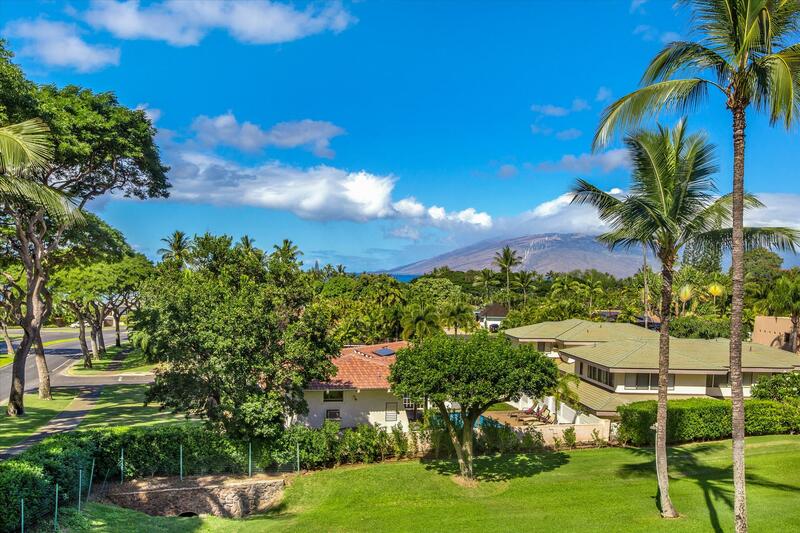 The Palms at Wailea condominium community consists of 23 two story buildings containing ground and second floor apartments, with individual lanais and entries. It is an easy walk to the beautiful Keawakapu Beach, one of the best beaches on the island with wonderful snorkeling at the end of the fine sand. 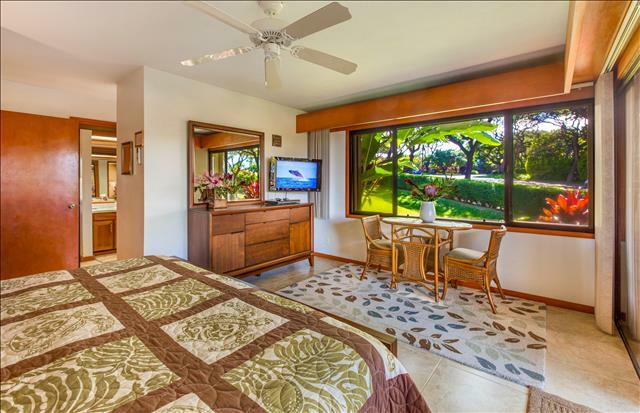 From Keawakapu Beach, you have access to the beach walk which will lead you through several of the Wailea beaches and resort hotels, including the Grand Wailea, Four Seasons, and Fairmont properties. 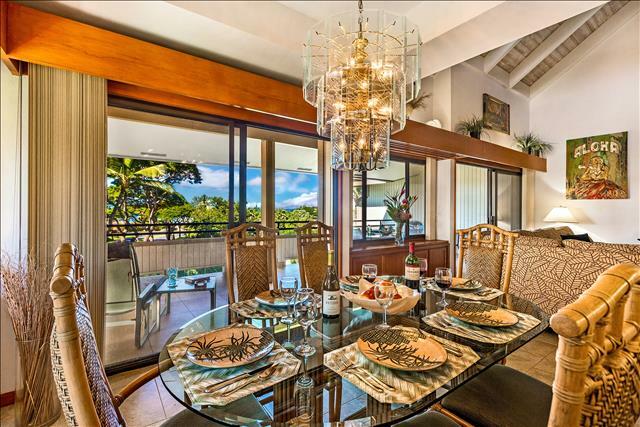 You can also take a short stroll to the Shops at Wailea, where you will find designer shopping and contemporary dining. Guests at The Palms at Wailea are also welcomed to visit the nearby Wailea Golf Club and Wailea Tennis Club.